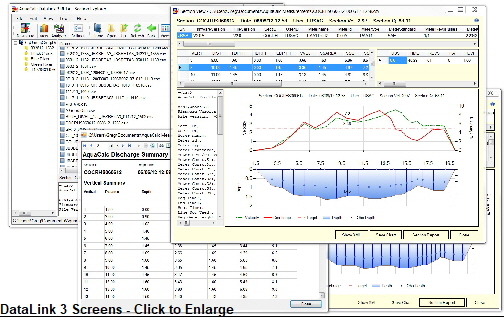 The AquaCalc DataLink software is used to download, review and print reports of section discharge measurements from the AquaCalc line of discharge measurement devices. This software can be installed for free from our website. 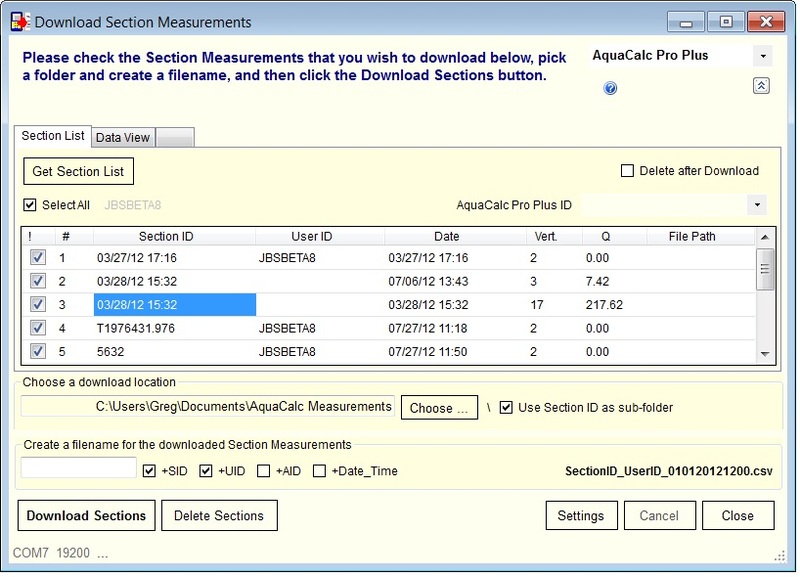 When using one of the new AquaCalc Pro Plus models, downloading of measurements is automated. DataLink 4 beta testing is complete and the full version has been released. 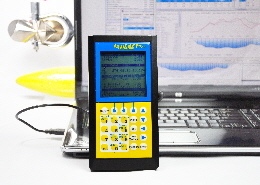 AquaCalc DataLink can be installed on a Windows compatible computer. 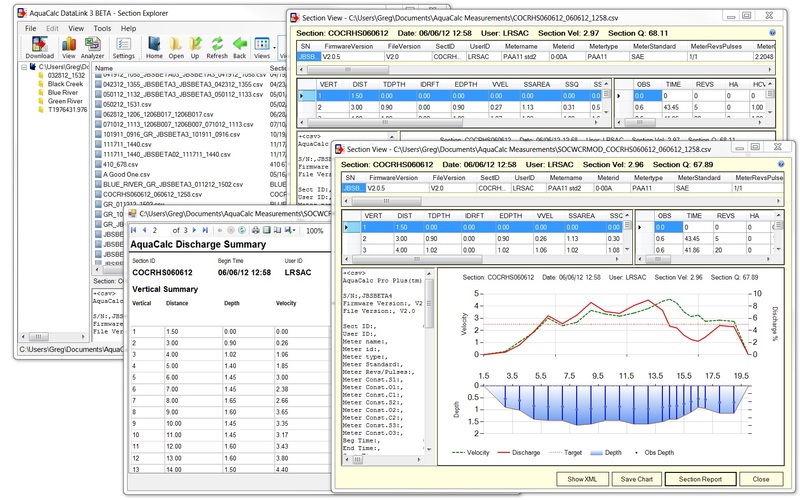 This new version of DataLink includes an Excel spreadsheet called the AquaCalc Pro Analyzer that will open a section discharge measurement from an AquaCalc Pro with one button click. Note: You must have Microsoft Excel installed on your computer and click the “Enable Macros” button if asked. The Analyzer will not work with output from older AquaCalc 5000 models, although you may use DataLink Pro to download the measurement. 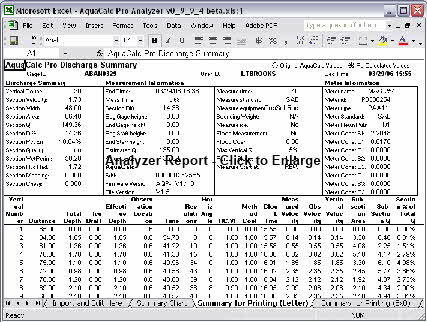 The Analyzer imports the open measurement, plots it on a graph, and formats it for printing in two sizes: letter and a 5” x 8” front sheet size. If you’ve made a mistake in a section discharge measurement and need to fix it after downloading and deleting it from your AquaCalc Pro Plus, you can use the Analyzer to fix and recalculate the measurement. If you do not have Microsoft Excel installed, you will not be able to use Analyzer. You can use the Analyzer spreadsheet without DataLink. Download it from the DataLink Install page. 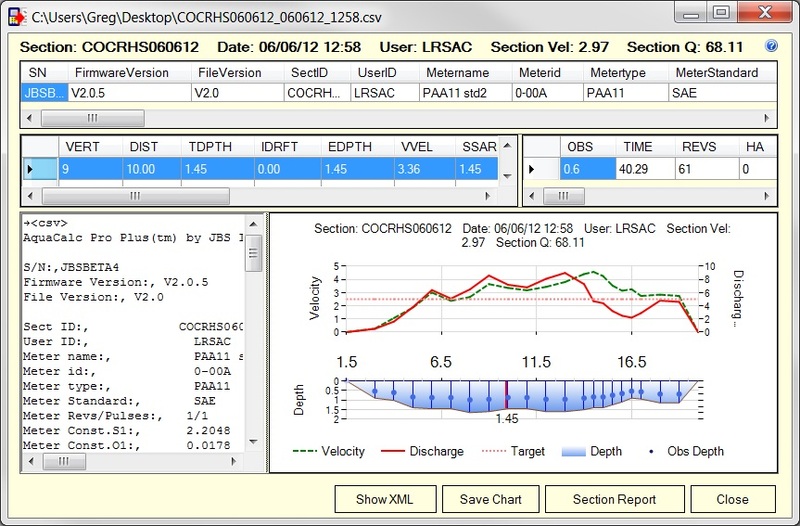 Using the Section View Screen, DataLink can open, review and graph multiple section discharge measurements at one time. 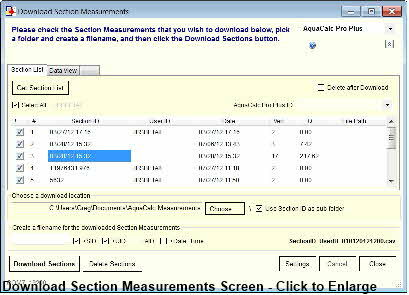 The Download Sections screen provides automated downloading of AquaCalc Pro Plus measurements. DataLink will automatically find your AquaCalc Pro Plus and display a list of measurements. You can then choose which measurements to download and where to store them. 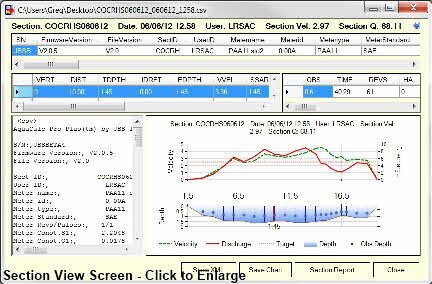 You can then delete measurements from within DataLink and display table and graphs of your downloaded section discharge measurements. Older AquaCalc models can also be downloaded manually. 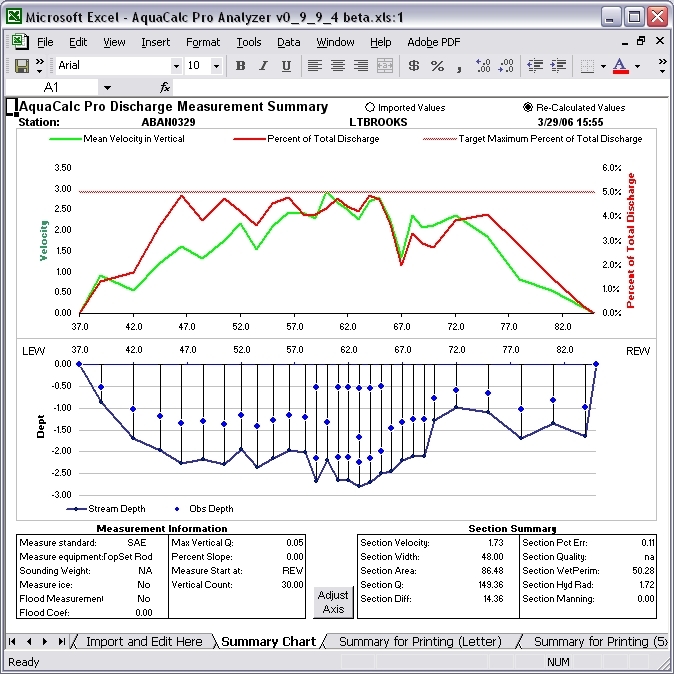 The Section View screen shows the measurement in and interactive graphical format and allows the user to save the graph as a picture for importing into other programs. If you are a developer or programmer and would like to integrate AquaCalc DataLink into a custom solution, follow the Help for Developers link.